Spelling Variations: Which are Legit and Which are Excessive? Some names only offer one or two simple, accepted spellings and very little room to be creative. Short names like Ruth or Hope are not easily tweaked, but other names like Caitlin, Catelyn, Kaitlyn, Katelynne, etc, can have many different potential spellings. The question is, which of these are easy to live with and which might only lead to confusion? If you think about it, the Top 1000 chart contains fewer than 1000 distinctive names. Hear me out. Take for example the name Madelyn. It ranks at #59, which is even higher than the more standard spelling of Madeline (#90). However just within the Top 1000, there is also Madeleine (#301), Madilyn (#315), Madelynn (#415), Madilynn (#497), Madalyn (#570), and Madalynn (#685) which are all essentially the same thing. They sound alike but they are spelled differently. Those add up to making the overall name much more popular out-loud than the data suggests on paper. 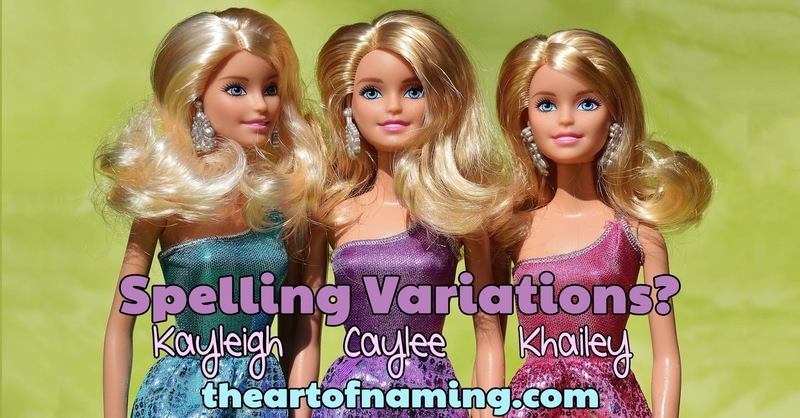 While all of these spelling variations are legitimate, (meaning they have been used, are being used, and will be used in the future), how necessary are they? Could the world get by with fewer variations? Or does "the more the merrier" apply here? Pause for a moment and ponder how you feel about spelling variations. Sure, one or two options can be a great thing, like Nora and Norah. How do you feel about names that don't really give you a specific image in your head regarding its spelling? If someone says "Hi, I'm [kay-lee]", which spelling pops into your mind first? Kaylee? Kayleigh? Caylee? Caleigh? Kleigh? Khailey? Caelee? Khaylee? Cayle? Cailey? Kaley? Cailie? Keighley? Kaylea? Caeley? Okay, I think you see my point. I could have listed more. In all, there's more than 70 possible spellings of this name on record, according to the data pulled together in 2015 by Name Nerds. You can download the data here. It really is fascinating to browse the spellings that people come up with. However, male names are not immune to Multiple Spellings Syndrome. 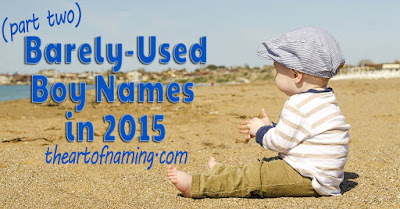 There are plenty of boy names that I could list, or you could take a look for yourself at Name Nerd's boy list too. Right off the top of the list, though, is Jackson. Or do you prefer Jaxson, Jaxen, Jaxxon, Jaxsyn, Jaxzon, Jaksen or maybe Jacksin? The same thing happens to many more boy names. Even traditional ones can't escape "creative respellers". David becomes Deyvid; James becomes Jaymez; and Nathan becomes Neithen. Are these really all that creative though? To me, they look wrong. I'm sure I'm not the only one that would think that the parents either couldn't spell or tried too hard to be "unusual". This is not the first time that I've discussed the advantages of choosing statistically uncommon names over mangled respellings of common ones. Spelling really is a big factor to consider when searching for a name. Feel free to share your thoughts in the comments below. Which spellings do you think are acceptable and which do you think are a bit too excessive? Where do you draw the line? Welcome to part two of this series that features ten barely used names per month. We started this thing by investigating names just outside of the US Top 1000. We'll explore our way down the list and uncover more and more uncommon names as we go. There are plenty of great names that are not currently popular. The best thing about their "unpopularity" is that it does not denote that there's something wrong with the names, they simply aren't on everyone's radar right now. They may have been used more in the past, or perhaps they are yet to be discovered. 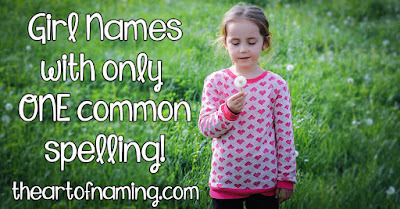 Either way, these great, overlooked names would be excellent choices for parents who want something you don't hear everyday. The ones that I've handpicked from 2015's data are all very usable for a modern girl despite being uncommon at the moment. In the parenthesis, the number of births for 2015 is listed, followed by the popularity rank as published by the Social Security Administration. Shannon (248 births - #1059) The longest river in Ireland is called the River Shannon, or Abha na tSionainn. The name Sionainn comes from Sionna, a goddess in Irish mythology whose name means "possessor of wisdom". As a name, Shannon had male usage first but once it was given to females, the girls took over. It entered the Top 1000 in 1937 and hit the Top 100 in 1968. Shannon's two best years (for girls) was 1970 and 1976 with an all-time high rank of #17. It dropped from the Top 100 in 1998 and the Top 1000 by 2014. Is this a came-and-went name or could it be revived again in the future? Araceli (247 births - #1060) This beautiful Spanish name means "altar of the sky" from the Latin ara meaning "altar" and coeli meaning "sky". It has been around in the US since the 1940s. It joined the Top 1000 in 1968 but recently dropped out in 2014. The highest it has ever ranked was in 2002 at #487. This name feels pretty and unexpected. Do you think it could gain usage? Taryn (247 births - #1062) According to Behind The Name, Taryn may have been created as recently as 1953. Actors Tyrone Power and Linda Christian gave this name to their daughter in that year, most likely as a feminine form of Tyrone. The data supports this. The name wasn't on record in the US until 1953. If that's really the case, then Taryn would have the same meaning as Tyrone which is derived from Irish Gaelic Tir Eoghain meaning "land of Eoghan". It's also possible that it is meant to be an alternate spelling to Terran, which refers to the earth or "terra". Taryn's best year to date was 1985. It only fell off the Top 1000 chart in 2015. Does it deserve the drop? Sonia (243 births - #1071) Sonia is a variant of Sonya, which is a Russian diminutive of Sophia. Sophia, of course, means "wisdom" in Greek. Sonia was first used in the US in 1895 with Sonya's usage following in 1904 on record. Sonia was in the Top 1000 from 1909-2014. At their peak in the late 1960s, Sonya was more popular than Sonia. Today neither rank in the Top 1000, however Sonia is ranked higher. Which spelling do you prefer? Etta (242 births - #1075) Etta is usually said to come from the name Henrietta, but it could very well be a nickname for any other -etta name. In this case, Henrietta comes from Henry which is German meaning "home ruler". On its own, Etta was most popular in 1920 and was always in use on record since 1880. It left the Top 1000 in 1967 and fell to record lows such as a mere 7 births in 2001. Now it has climbed up again with 242 births in 2015. Could it stand alone and rise on the charts soon? Ramona (242 births - #1076) Ramona is the feminine form of Ramón which is the Spanish form of Raymond. Raymond comes from the Germanic name Raginmund which ultimately means "advice" from the element ragin and "protector" from mund. Ramona spiked in popularity in 1928 in the US and continued to rank within the Top 1000 until 1989. Now it is on the outskirts of the charts with 242 births in 2015. Should it be allowed reentry? Joelle (241 births - #1077) This is the feminine form of the Hebrew name Joel which means "YAHWEH is God". The US popularity record for Joelle shows 5 births in 1918 but it wasn't consistently used until 1933. It joined the Top 1000 in 1966 and dropped back out in 2004. It has lingered just beyond the charts since then. Could it rise in the future? Gwyneth (236 births - #1091) Gwyneth is either a varient of the Welsh name Gwynedd, or it simply comes from the Welsh element gwyn meaning "white, fair, blessed". It has been well-used in Wales since the 19th century. Here in the US, it has only been used since 1915. Surprisingly, Gwyneth has only ranked with in the Top 1000 in the years 2004, 2011 and 2013. Will it ever be more commonly used here? Magdalena (233 births - #1104) Magdalena is the Latinate form of Magdalene, which comes from a title meaning "of Magdala". The bible character Mary Magdalene was called this because she was from Magdala, a village on the Sea of Galilee whose name meant "tower" in Hebrew. She was a popular saint in the middle ages, giving the name Magdalene popularity. Magdalene ranked in the US Top 1000 from 1880-1944, but never again after that. Magdalena ranked well from 1880-2010, aside from a couple dips in the 1980s. Why is it that this name is beginning to fade? Could it regain usage? Maxine (231 births - #1109) This is one of the only Max names for females. It probably means "greatest" from the Latin Maximilianus which comes from Maximus. Maxine was first used in 1884, peaking in usage from the 1910s - 1940s. It dropped out of the Top 1000 in the late 1970s and flickered on and off before it stayed off as of 1996. Could it be seen as stylish again in the near future? Which of these ten names appeals to you the most? Would you ever consider putting it on your list? 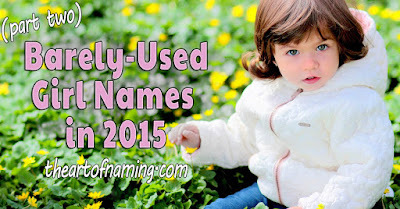 Do you know any children with these names? Welcome to part two of this series! Today we'll investigate ten interesting names that are currently not ranked within the US Top 1000. A couple were popular years ago and are uncommon now, while others have yet to hit their stride. Let's see if any of these could potentially start [re]climbing the charts in the coming years or if they are likely to remain barely-used. Share your thoughts in the comments below. Do you know any youngsters with these names? Within the parenthesis, you'll find the number of births the name received in the year 2015, along with the names' corresponding popularity rank. Denzel (186 births - #1060) Denzel is a form of Denzil which is a surname that indicated a person from the manor of Denzell in Cornwall. The spelling Denzel was made popular by Denzel Washington, an American actor. The name in the US has been around since 1906. It was rare until the early 1990s, peaking in 1993 at #311. It has since fallen off the Top 1000 chart. Leif (186 births - #1063) This is an Old Norse name that comes from Leifr meaning "descendant, heir". The most famous bearer of this name is Leif Eriksson, a Norse explorer from the 11th century. As a name, Leif has been in use in the US since 1912. It ranked in the Top 1000 from 1959 to 1987. It is very close to rejoining the chart again, do you think it could ever be commonly used? Octavio (185 births - #1065) Octavio is the Spanish form of the Latin Octavus meaning "eighth". There are not any Oct- names in the Top 1000, Octavio is the highest ranked for boys. It gained usage in the US in 1908. It ranked in the Top 1000 from the 1970s to 2010. It fell recently but isn't too far down. Could Octavio ever be more commonly used? Do you prefer Octavius? Octavian? Roderick (185 births - #1066) This name comes from the Germanic elements hrod meaning "fame" and ric meaning power "power"; so it could mean "famous power". It was the name of a Visigoth King in the 8th century, but the name died out after the Middle Ages. It was revived again by Sir Walter Scott's 1811 poem called "The Vision of Don Roderick". It's always been used in the US and nearly always ranked within the Top 1000 until recently. Lyle (183 births - #1072) Lyle is an English surname that is actually a bit of a play on words. It comes from the Norman French word l'isle which means "island" and is pronounced the same as Lyle. The name as always been around in the US, perhaps being most popular in the 1920s. It fell off the Top 1000 chart in 1996, dipped down and is now back up on the outskirts. Could it rejoin soon? Clarence (180 births - #1080) Clarence derives from the Latin title Clarensis which may mean "clear, illustrious". This was a title used by the British royal family that comes from the name of the town of Clare in Suffolk. Clarence has always been used in the US, doing its best around 1920 and remaining a Top 100 name through the 1940s. It gradually fell, dropping out of the Top 1000 in 2009. Could it make a come back or will it continue to hover just below the charts? Gerard (179 births - #1086) Gerard comes from the Germanic element ger meaning "spear" and hard meaning "brave, hardy". This name was often confused with similar-sounding name Gerald but it has never been nearly as popular. Gerard has been in use since 1886 in the US, but was never popular enough to rank higher than the 200s. It dropped out of the Top 1000 in the early 2000s. Could it be fashionable again in a couple decades? Sidney (179 births - #1088) Sidney is a surname that also comes from place names in England that mean "wide island" based on the Old English sid meaning "wide" and eg meaning "island". Sidney could also be based on a town in Normandy called Saint Denis. Say that quickly with a French accent and there you go, but there isn't much evidence for this. In the US, Sidney has always been in use for both genders. And there's also the spelling, Sydney, which is popular for girls. Sidney ranked well for boys until it dropped out of the Top 1000 in 2014. Is Sydney's female influence too strong for Sidney to hold popularity for boys? Aston (178 births - #1089) Aston could be derived from an Old English place name that means "east town"; or it could be a form of Æðelstan which is derived from the Old English elements æðel meaning "noble" and stan meaning "stone". On record, Aston popped up in 7 different years between 1915 and 1930, each with a handful of births. It wasn't until the early 1980s that this name gained regular usage on boys. It is occasionally used on girls as well, but minimally. Aston has never been in the Top 1000 but it is inching awfully close. Could it be there in the next year or five? Dale (177 births - #1092) Dale is a nature name and a surname that refers to a person who may have lived near a dale or valley. This name has always been in use in the US for both genders, but it's more commonly a male name. It peaked in 1958 at #46 and 8,478 births. It declined after that, falling off the Top 1000 chart in 2010. It's been lingering on the outskirts, could it ever make a comeback or is it still too recently dated to feel fresh? Which of these names do you like best? Could any rise in popularity soon or are they better off where they are? Today's featured boy name is pulled from the list of names ending with the letters -cy. Percy is is male given name that comes from an English surname. There is a commune in Normandy in Northwestern France called Percy-en-Auge from which the surname was derived. The House of Percy (or Perci in Old French) was one of the most powerful noble families in northern England. There are still members of the Percy family to this day who are Dukes of Northumberland. 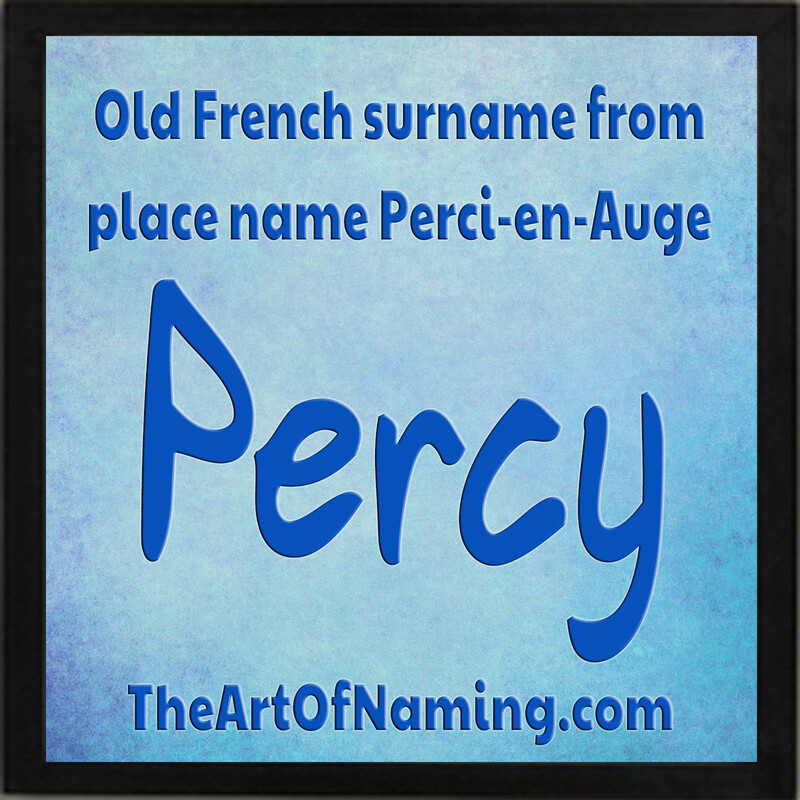 Their surname comes from the manor of Percy-en-Auge in Normandy which was their home during the Norman Conquest. The name Percy started out being used as a given name in their honor. The Greek Perseus is similar in sound and could be assigned the nickname Percy. It means "to destroy" in Greek and was the name of a mythological hero who killed Medusa and founded the ancient city of Mycenae. Percy can also be considered a short form of the name Percival. The name Perceval, with this spelling, was created by a French poet named Chrétien de Troyes in the 12th century. He wrote a poem called "Perceval, the Story of the Grail" in which Perceval was one of King Arthur's Knights of the Round Table. It is likely that the name Perceval was based on the name of a Welsh hero, Peredur, which means "hard spears" in Welsh. Perceval may have also been influenced by the Old French words percer val meaning "to pierce the valley". So what does Percy actually mean? Take your pick! How about its usage? Percy has been in use on record in the US since 1880. It was used the most in 1920 with 601 births. It fell off the Top 1000 chart as of 1989 and is now a rare name. It only had 58 male births in the year 2015 for a rank of #2275. Despite being a possible short form of Percival, the name Percy on its own has ranked way better over the years. Percival has never scored more than 25 births in a single year. What would you pair with the name Percy? Or do you prefer Percival or Perseus? 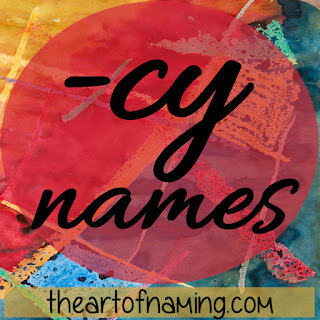 Names Ending with the Letters "-cy"
This is a very specific series. We are taking the time to look for names ending in specific letters. We already looked at "-ay" names and "-by" names. Now we are going to investigate all the possible names ending with the letters "-cy". There could be more out there in other languages around the world but these are some of the best options for an American kid. Which do you like best? Can you think of any others that could be added? Uniqueness. What does that word mean to you? 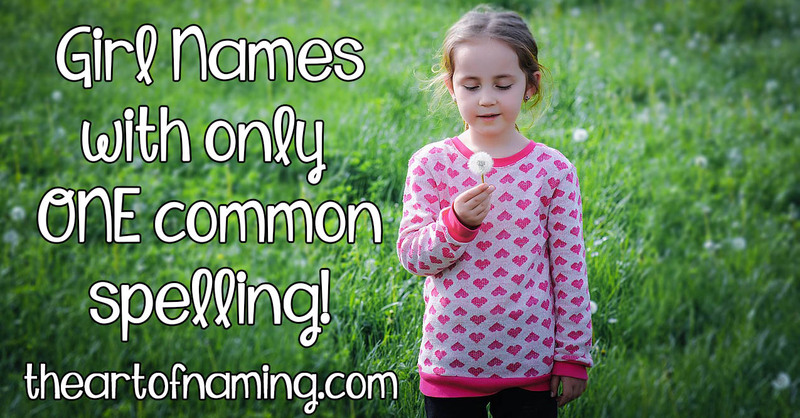 When it comes to names, it may refer to a name that is seldom heard. What about the spelling? It seems to be a trend lately to take a common name and "make it unique" by tweaking the spelling. But after all, by ear, aren't Emily, Emilee, Emaley, Emylee and Emmalea all pronounced the same? Why not opt for the common spelling to avoid headache and confusion? If you'd love to steer clear of the constant "could you spell that for me?" 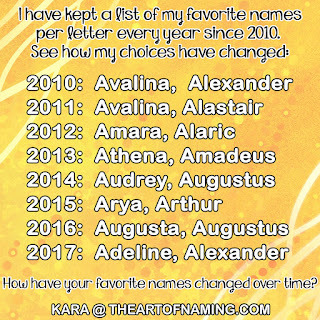 questions, and actually be able to find your name on default personalized keepsakes, perhaps you'd prefer a name that doesn't have a ton of spelling options. In fact, maybe you'd like a name with only one common spelling. Creative namers could be able to twist some of these around, but those variations wouldn't be common. The names on this list will most likely give you an easy time when it comes to having your name spelled correctly when spoken. Can you think of more names that are hard to respell creatively? This list is far from complete. What other names can you think of that may have only one common spelling? Would you refute any of these? Robert or Bobby? 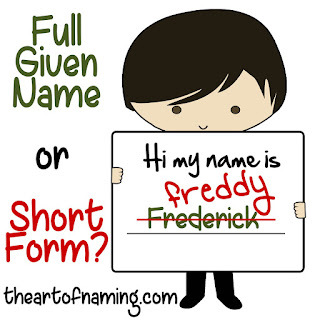 - Full Given Names or Nicknames on the Birth Certificate? Here in America, we tend to like putting the long, proper form of the name on the birth certificate even if we end up calling them by something else as a nickname. Other countries sometimes cut to the chase more often and just name them the short form to start with. However, it isn't unheard of here in the US. 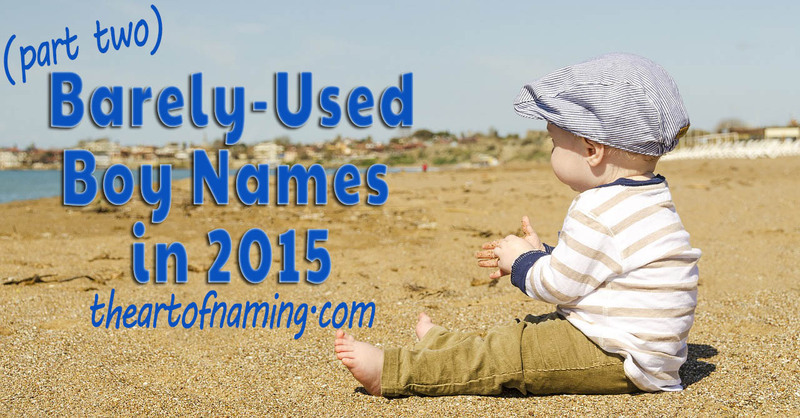 The #2 boys' name of 2015, Liam, is essentially the second half of the name William. It's considered the Irish form, but it still ranks higher than its longer companion. Would you ever use any of these names alone or would you opt for Edward with the nickname Eddie or Kenneth with the nickname Kenny instead? Can you think of any other names like these that you would consider?